What is Babe Ruth Baseball? Updated Tuesday November 1, 2016 by ABR. 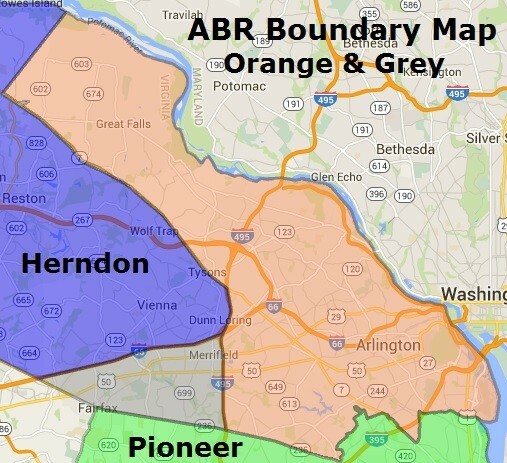 Beginning at the point where Arlington County, Alexandria, and the Potomac River meet, west along the Alexandria boundary to Route 236, west along the northern edge of Route 236 to I-495, along the inner edge of Route 495 to its intersection with Route 7, running west on the northern edge of Route 7 to the Loudoun County border, along the eastern of the border between Fairfax and Loudoun Counties the Potomac River, and down the Potomac River to the starting point where Arlington, Alexandria., and the Potomac River meet. School Rule - If the physical location of the school where a player attends classes during the traditional academic year is within the boundaries of an established league, the player is permitted to participate in the established league. (Note: This excludes home schools, cyber schools, sports-related schools, sports academies, or after school where a student participates outside of the primary school in which the player is enrolled.) Once a player selects to participate in a league where the player is eligible, the player must finish the current season in the same league under the school boundary rule. Grandfather Rule - If a player rostered on a Cal Ripken Baseball, or Babe Ruth Baseball team moved outside of that league’s geographical boundaries. In this case, the player may finish his/her playing career in the respective division of that league.